A vampire roleplay loosely based off of Tsukihime. Come and enjoy the night in this alternate universe. Please post any and all non-rp related topics in here. This includes any notices of absence. This is where any and all contests (for a new banner and stuff like that) will be held. Don't be shy and come out and show us what you can do! Look here for our affiliated sites, and be sure to support them! Please post your application here and await approval. You MUST be approved before continuing. Register any and all weapons your character is packing here. 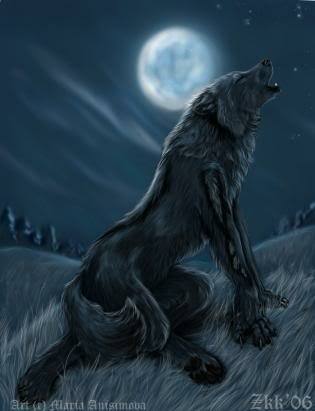 Lycans don't need any weapons, as they have their claws. Please register any abilities/techs your character has here. The capital city of Canada. Home of the Sky Dome and CN Tower. Also the capital of the province of Ontario. A large port city across the channel from Victoria, British Columbia's capital city. The capital of British Columbia and port town. Sits at the southern tip of Vancouver Island and across the channel from both Port Angeles and Vancouver. Deserted Dock near the Black Sea in Romania. A ghost town, the aftermath of a civil war. The homeland to the great Vlad Tepes. Known as Vlad The Impaler to most, but now a worn out castle rests on top of a hill waiting for another master to claim it. Home of the Empire State Building and Broadway. Also known as "The Big Apple". Port town in the state of Washington that is one of the entryways to Victoria. Large city in the heart of California's Silicon Valley and home to the Golden Gate bridge. Capital of the USA and home of the White House, where the American president lives. Home of the Vatican, where the church lives. Most Burial Agents find themselves coming here sooner or later. A relaxing place for most Italy's People, most of the city is in water, by traveling everywhere in boats or canoe's. Some even say weird creatures have been known to make appearances at night. The Imperial capital of Japan. The historical center has been maintained and polished, maintaining the significance of the city. The industrial capital of Japan, this town is filled with many brilliant, beautiful lights at night and tends to be quite busy during the day. Capital city of England and home of the Queen. Said to be haunted by the ghosts who died in the Tower. Whether or not this is true has yet to be seen. Places around the world that I'm too lazy to do or can't think anything up for. Take a load off of your character and do anything you wish here with them. Complete OOC-ness allowed. Where you can fight and die as many times as you want without it affecting plot. Use this to build up your fighting skills.